We bought a Victorian house in June that sits on a quarter acre lot. 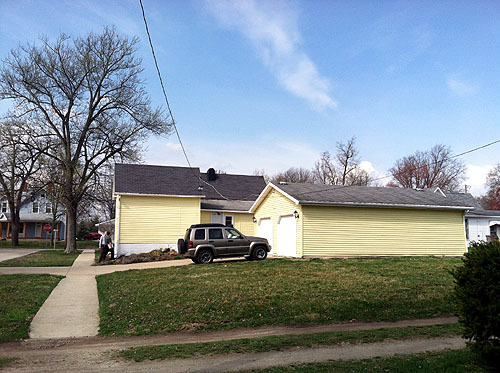 There is a large grassy area right next to the garage. The perfect place to plot our very own Potager garden. 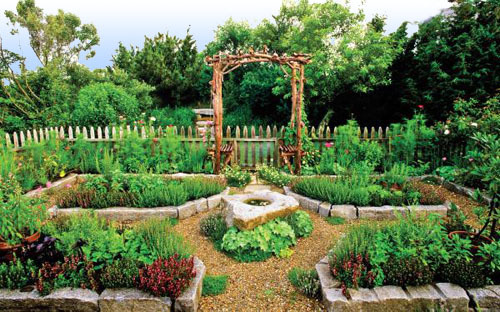 Le Potager is a 12-century French style of kitchen garden. It creates an enclosed space that maximizes the area for growing food while maintaining beauty and grace. Think of it as the formal bed shapes of a knot garden with the whimsy of a cottage garden and the practicality of a kitchen garden. I have begun the design process for this space in our side yard. I am a trained horticulturist which means I am very good at taking care of a garden, but I have very limited design experience. There's no time like the present to learn! My own yard is the perfect place to experiment. I have worked with landscape architects as they designed for the public gardens and arboretum I have worked for so I know the first thing to do is define goals and make a plan. That's what this post is about. Once I have finalized the design I'll put up another post. I started by asking myself what do I want out of this garden? After writing out this list I realized a potager garden would be the perfect fit. 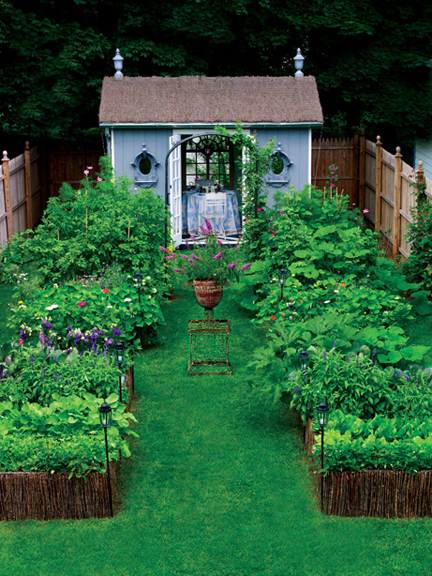 Potagers are contained, pretty and are compact places to grow lots of veggies. Then I broke down some of these goals further. What food do I want to produce? I am able to get seasonal produce through the summer from Hawkin's CSA. I'd like to grow produce I can freeze or put in cold storage for the winter. And there are somethings the CSA doesn't produce like sweet potatoes, rhubarb and tree fruit that I'd like to grow. What space do I want for people in this garden? While a garden is a place for growing plants it is equally a place for people. When there is no place for people it becomes uninviting. I'd like a space to work from like a picnic table or potting bench. Although perhaps I'll include that over by the patio where the grill is so it can double as counter space when cooking. Isn't this design from Mother Earth News clever? The water from the outdoor sink drains into the compost helping it breakdown faster. I also have a daughter and I'd like a place for her to play. 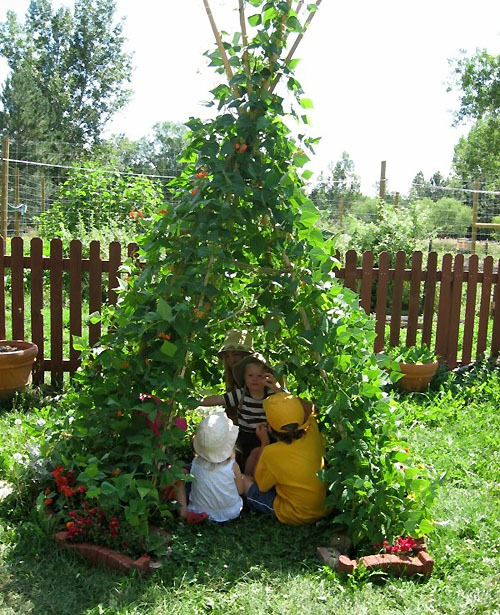 Perhaps her own little garden square, sandbox or how about this vine covered teepee? Our garden should be a space that is welcoming to the whole family. 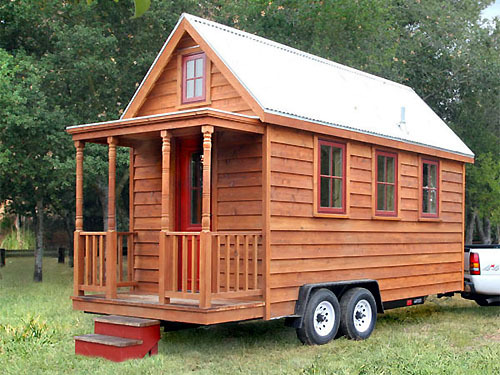 I also adore the idea of building our own tiny house. It's years in the future, but I'd like to include it in the plan now. Michael Devine's garden inspired by the potager. Here's the space as seen from the side walk looking back to the garage. Now that I have all my inspiration set it's time to start sketching. 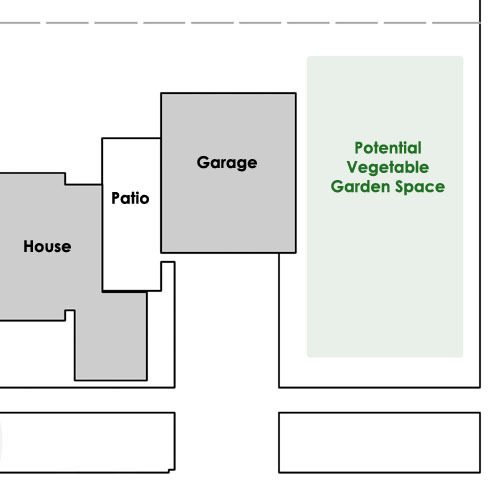 My goal is to sketch ten potential layouts and then evaluate to make the final garden design. Hopefully I can get that done this week so we can put in a couple beds before the ground freezes! What veggie gardens inspire you? 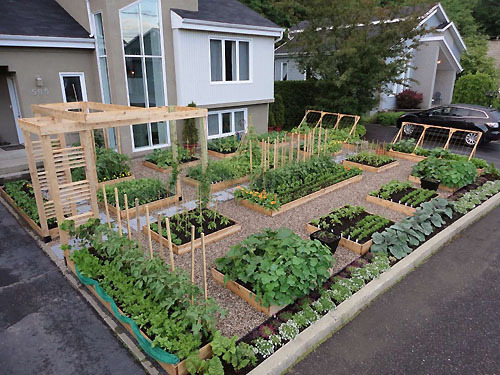 How did you plan your garden? Wow, amazing idea! My husband and I didn't do too much planning with our garden this year, but for next year he has plans already drawn up. Good luck with the sketching! Beautiful ideas here! I love the potager-style garden photos. Very inspiring! My garden has transformed many times over the years. Each year growing larger as I try to grow as much of our food as I can. I grow using the biointensive method, where you double dig the beds so the roots can grow deeper and you can fit 4 times the amount of plants in one quarter of the space. I only have a 1/3 acre lot so space is limited. I run my own architectural design business so as you can imagine I have spent way too much time designing the garden, shed, greenhouse, garden fence, etc. and of course I have to build everything myself! Good luck with your garden and I can't wait to see it when it's finished! Wow! nice post. I love all of their work, always had the perfect idea on how to make something beautiful and thrive again. AMAZING! You are featured this week on Busy Monday! Pinned. Hop over this afternoon after the links go live and grab a featured button from the Button Box! Thanks so much for sharing and hope to see you again soon! Your potager garden plans sound very exciting. I really like the layout and plans you are making. The vine covered tepee sounds like so much fun. Our garden was landscaped when we arrived at our new house, but we made some changes with the help of a garden designer. It's L-shaped so we had lots of space to work with. I now have flowers and grass in one area and raised beds for a kitchen garden in another. Authentic Provence will awaken all your senses with its most complete and genuine collection of the most distinctive French garden antiques and home décor the Mediterranean has to offer, carefully chosen by its owner a appassionato European art historian.Authentic Provence reflects an intimate portrait of (the south of) France where the outdoor living is saturated with the most refined yet simple garden antiques (savoir faire). Visit www.authenticprovence.com for more information. 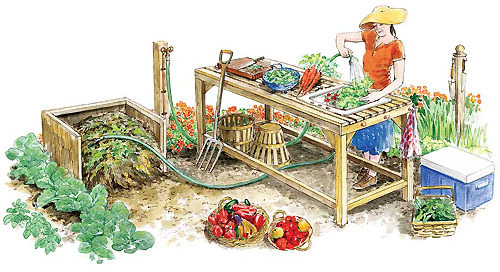 I am considering vegetable gardening for the first time and I am happy to know that planning a garden layout or design can be both simple and easy. I hope you were able to start your potager. i started mine in September 2012 ( am in Southern Hemisphere, so that was Spring) and I'm learning quite a lot about my land and how things grow on it. It's been very rewarding. Lovely and so romantic. By the way, have you heard of any kitchen suppliers aberdeen? I live there and my kitchen desperately needs an improvement and I'd rather go for someone recommended.